Bagalkot is a headquarter town situated in the Bagalkot district in the Indian state of Karnataka. The town is one of the major towns in North Karnataka. According to the engravings on stones in the surrounding areas it is found that the town was formerly known as Bagadige. According to legends the town was gifted to the then musicians by Ravana. It is also said that one of the Bijaapur kings presented this town to his daughter as bangle money; a tradition where the daughter is given money to buy bangles, sarees, gold, and ornaments for her marriage by her parents. The town is said to have got its name because of the entrance gates at the east end called Shiroor Agasi with huge doors. These huge doors in Kannada are called “Baguli”. The north-west side of the old town between Killa and Ghataprabha was a fort. This fort in Kannada is called “Kote”. Therefore, the place was called Bgadikote or Bagulikote. Eventually the town became known as Bagalkot. The town remained under successive dominions of Vijaynagar emporers, Peshwas, Kingdom of Mysore, Maratha Rulers, and at end the British in 1818. In 1865 it was established as a municipality and amenities were provided also. The town became a noted centre for various freedom fighters like Sindhoora Laxmana. The town was also a noted for having discussions regarding freedom movement and the Unification movement. 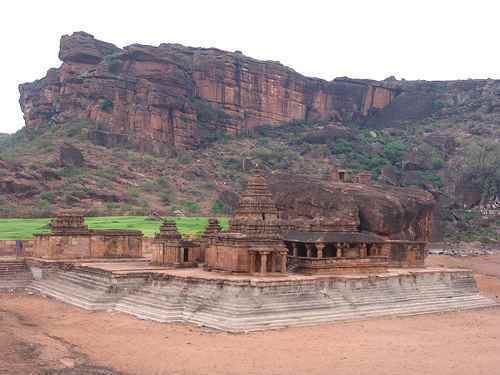 The old town of Bagalkot consists of Halepeth, Jainpeth, Killa, Hosapeth, Venketapeth. The railways to the town were introduced on 1st August 1984. The Hutagi – Gadag line was introduced. Before the onset of the railway line the town consisted only of Halepeth, Jainpeth and Killa. With the availability of railways the people from nearby towns started to move to Bagalkot. These people were skilled in separating cotton seeds from cotton with the help of machines. Hence, various cotton ginning machines were set up near the railway line. With these growing opportunities in the cotton industry a hydraulic press was also created near the gins to store bullock carts and raw material. These also started attracting many new businesses and new investments. This also proved to be an attraction for various people to migrate to the town. Not only were the nearby villages attracted people started migrating from Rajasthan and Gujarat as well. New settlements were also established to the south of Hosapetha. After India became independent the Bagalkot Udyog Ltd. created a cemented factory 3 km away from the west side of the town. With increasing population one new settlement was established in the west side of the town. This part of the town was named Venketapetha after the famous Venkateshwara Temple. Now, the Bagalkot town is divided into three parts consisting of Navanagar, Vidyagiri and Old Bagalkote. The construction of the Navanagar became necessary after the construction of the Almatti Dam. The town is of grid pattern and has wide roads, parks and amenities in resemblance to the structure of that of Mohenjodaro Town.